One cardboard box isn’t much different from another, so why do some moving companies overcharge for boxes Atlanta residents need when it’s time for a move? Bulldog Movers never nickel-and-dimes their customers, so when you buy boxes from us, you know you’re getting the lowest prices around. 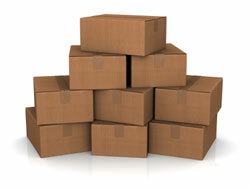 In fact, we will meet or beat any competitors pricing on boxes and other standard moving supplies. Our commitment to highest level of customer service doesn’t end there; while other companies that offer pre-ordered supplies make you guess the amount of boxes you need and then buy them all, Bulldog will never make you pay for unused moving boxes. Atlanta homes and businesses rely on Bulldog for a higher level of integrity in moving, and our nine consecutive years as the Consumer’s Choice Award winner proves our services are unmatched. If you are simply pre-packing your belongings into boxes for an Atlanta area move that will be done by a Bulldog Movers team, you receive the added bonus of an experienced move team, larger trucks than other Atlanta movers, and an affordable price that includes trucks, labor, floor and wall protectors, shrink wrap, blankets, tape, and even local moving tax and tolls. Call or email Bulldog today and see why we have the cardboard boxes Atlanta area residents in Smyrna, Roswell, Marietta, Dunwoody, Chamblee, and beyond want at the price they deserve. Visit it our packing and moving tips page to learn about how to best utilize your boxes.